The family and friends of a South Armagh man have condemned his continued imprisonment pending a possible prosecution in regard to the 1998 Omagh bomb attack. The court's decision today to further remand Seamus Daly into custody, based on the assertions by the prosecution that a further 6 weeks was needed to obtain analytics and perhaps up to a further 4 months to obtain other material from the 26 Counties can only be viewed as a stalling tactic and disingenuous. 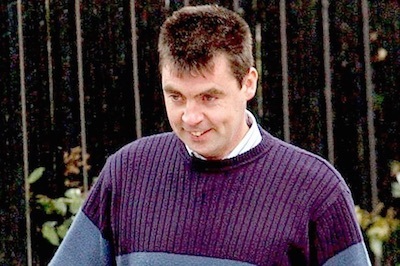 Seamus Daly has now been imprisoned for over 10 months on spurious evidence which has been available for over 15 years. Their claims that Seamus could not be located for upwards of 5 years and that they now have credible evidence flies in the face of the reality. The reality that Seamus had been living openly, enjoying a family life in Jonesborough, County Armagh until his arrest in April 2014. Those now involved in the continuing prosecution of Seamus Daly are engaging in the age old tactic of internment by remand. The regurgitation of old tainted evidence, used in the prosecutions desperation to close the case, coupled with the intended use of discredited witnesses shows the lengths that they will go to in order to cover up their own incompetence. With this in mind the family and friends of Seamus Daly have undertaken to campaign for his release, a campaign to highlight the injustice faced by Seamus Daly will be forthcoming in days. We urge all those with an interest in human rights, genuine justice and truth to take a look at Seamus’ case and support us in our pursuit of freedom for Seamus Daly.